Morgan James Publishing, 9781683509523, 220pp. Mindfulness has become a major buzzword in culture today, and yet very few people understand what this word actually means and how to integrate this practice into their daily lives. In a world filled with noise and distractions--including cell phones, millions of advertisements, and increasing pressure to do more, be more, get more, and make more--it is no wonder there is an alarming increase of anxiety and depression cases reported. 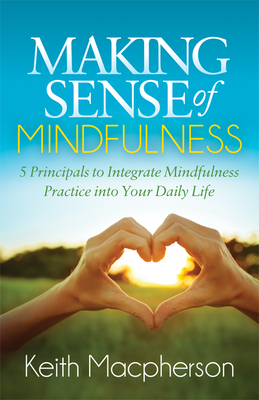 In Making Sense of Mindfulness, Keith Macpherson offers an accessible, solid, five-step framework that demystifies the buzzword "mindfulness" and offers a legitimate formula to help combat the high stress levels and anxieties that plague daily life. Come back into balance as you discover the tools and techniques to successfully integrate and sustain a daily practice of mindfulness in your life. It's time to discover how to live your best life.